Die besten Ski-in und aus Erfahrung, die Sie je hatten, gewährleistet. Die Leute werden Ihnen sagen, ihre Heimat ist Ski in und aus, aber dann kommt die Diskussion darüber, wie unangenehm es ist fast Ski in und out. Im Allgemeinen ist es sehr schwer zu sein, direkt an der Piste. Ich garantiere, dass Sie lieben die Lage, Punkt. Luxus ist der andere Gegenstand, auf den die Leute spärmen. Mein Haus hat Platz, um mit Familie oder Gruppe, sich auszubreiten, und ist zu einem sehr, sehr hohen Standard eingerichtet. Dieses Haus ist perfekt für beide, Lage, Luxus und Stil. 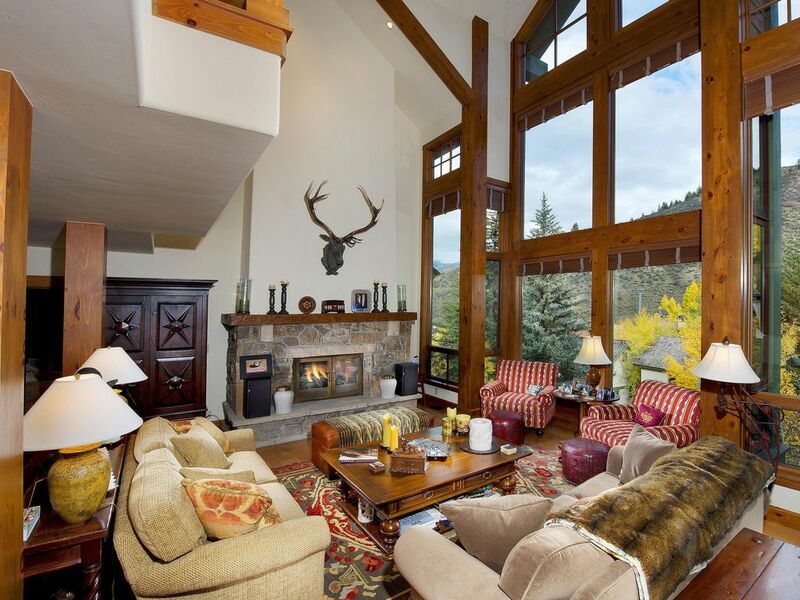 Ursprünglich ein Musterhaus für Slifer Designs, die bekanntesten Designer in Beaver Creek - Vail Bereich, hat dieses Haus hochwertigen Betten, Bettwäsche, Möbel und Qualität. Mein Haus verfügt über eine große Gourmet-Küche mit Küchenchef hochwertige Geschirr und Kochgeschirr, ein Esszimmer, die 16 am Tisch Platz, und einen Überlauf Tabelle für einen anderen 6-8 bestückt. Drei separate Bereiche Familienzimmer und ein Spielbereich lassen Sie Ihre Gruppe, um sich auszubreiten, wenn nötig. Wenn Sie ein Haus zu buchen wollen, dass es von der gleichen Qualität in dem Sie leben, bin ich sehr angenehm, dass dieses Haus die Anforderungen selbst der anspruchsvollsten Reisenden gerecht zu werden. Ski in and out was wonderful. Bedrooms were on four levels which made them very private. My only recommendation would be for the owner to have someone who would keep the hot tub area clear of ice and snow and the area next to the front stairs of the house. Great house for large groups. It’s the best we’ve ever rented when visiting Vail. The kitchen/dining area is great. Your home is perfect for families with small children who don’t ski yet and little ones who can’t make it all day. The ski in/out was a time saver. Fantastic Ski in Ski out Property! Beaver Creek is Awesome!! This is an amazing home. From every bedroom having its own bathroom, to playing pool and watching the playoffs on a huge flat screen! What I so enjoy is the true ski in and ski out. Drop down to the lift, and off we go to birds of prey and the rest of the awesomeness they call Beaver Creek. If you like cooking this kitchen is great, we however, prefer dining out for dinner, and the restaurants in the area from Edwards, to Avon and in BC are world renown. My favorites, Splendido, Zach's cabin (say hi to Chef Dave from us) Zino's in Edwards is fantastic. All fantastic food and service. All in all one of the best vacations in a long time!! This house was great for our family of 20 over Christmas vacation. The ski in ski out feature allowed everyone to ski on their own schedule, with plenty of space to store all the ski gear. The dining and living rooms were large enough to accomodate everyone - a real advantage since many large houses have many bedrooms but small dining areas. The kitchen was well equipped, bedrooms, baths, and beds were great. We thoroughly enjoyed our time here. 9 of us met in CO for some skiing and snowmobiling. What a house. Great rooms, bathrooms galore, amazing hot tub. Great to rent a place that the owner truly cares about. We were so fortunate to get a chance to stay at this beautiful property during the World Cup races in Beaver Creek. No better location to gather your closest friends and family in the area with a pool table, hot tub, plenty of space, and beautiful kitchen, dining and living area. We had a small walk to and from the mountain shuttle, which runs every half hour or so. We would often shuttle our guests down and back to make logistics easier, especially for those of us with young children and a lot of gear. Bob and Sheryl were very responsive and great to work with...thanks again for a wonderful stay and experience!